The number of Asian elephants in captivity is a major issue for the species’ welfare and conservation. In Sumatra, the decades-long history of elephant husbandry has taken a recent turn for the better. In Sumatra during the 1980s and 90s, a government program to reduce elephant crop raiding led to “problem” wild elephants being captured. The program employed these captured elephants in labor and tourism. That practice stopped several years ago but the legacy of that time has resulted in a population of hundreds of captive elephants that require feeding, stimulation and veterinary care. It has also produced a cadre of professionally trained mahouts. 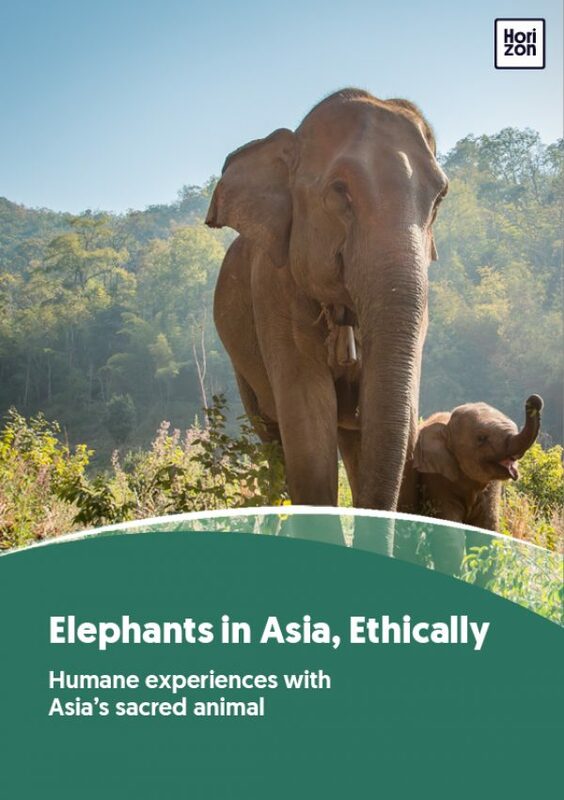 Together, mahouts and their captive elephants are seeking alternatives to heavy labor and harsh tourist camps. Today, Sumatra’s captive elephants and their mahouts can play a role patrolling, protecting forests, and keeping wild elephants away from villages. Protecting wild elephants from conflict with humans is vital, as Sumatran elephants are officially classified as a critically endangered subspecies with as few as 1,500 left in the wild. Part of this new role is veterinary assistance in the bush. When a wild elephant is injured from stepping into illegal wire snare traps, wildlife veterinarians can get close enough to sedate and treat it because the captive elephants can keep the rest of the wild herd away during the procedure. Thanks to years of close interaction with elephants, mahouts understand how intelligent and social they are, and become cultural advocates for the animals, fighting misconceptions among Sumatrans and challenging assumptions that elephants are just the same as cattle. One young man in particular became inspired to train as a mahout for the government when, as a volunteer back in 2004 after the devastating tsunami in Aceh, northwest Sumatra, he saw the strength and delicacy of the elephants as they were used to help remove debris and rescue injured people.